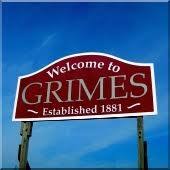 The city of Grimes, Iowa was formed in 1881 and named after former Iowa governor James W. Grimes. Grimes is a suburb of Des Moines and sits in both Polk and Dallas Counties. To learn more about the city of grimes. 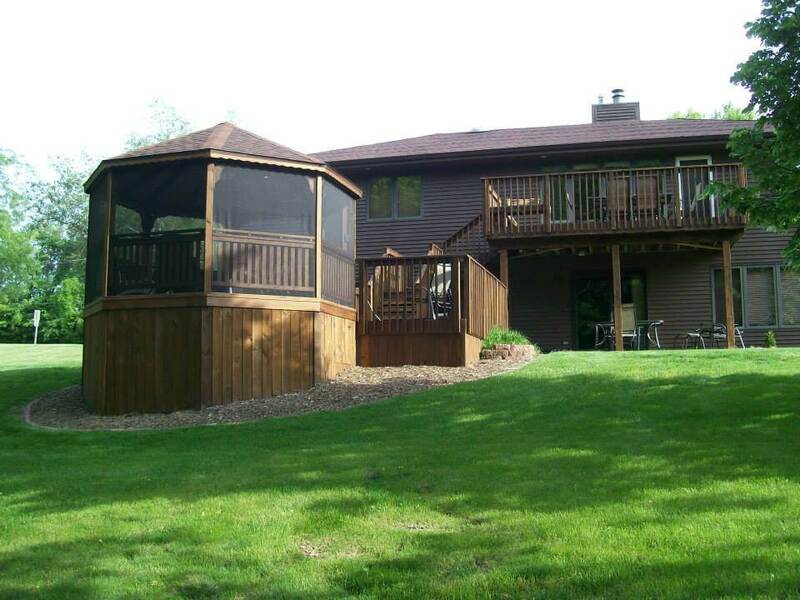 Compassion Builders performs Custom Homes Building, Basement Finishing and Remodeling in Grimes, Iowa. The above photo shows a project that Compassion Builders completed for a neighbor of Grimes. This client had an aging spouse that loved to watch the birds. They wanted a place for them to be able to sit outside out of the weather and away from the bugs. 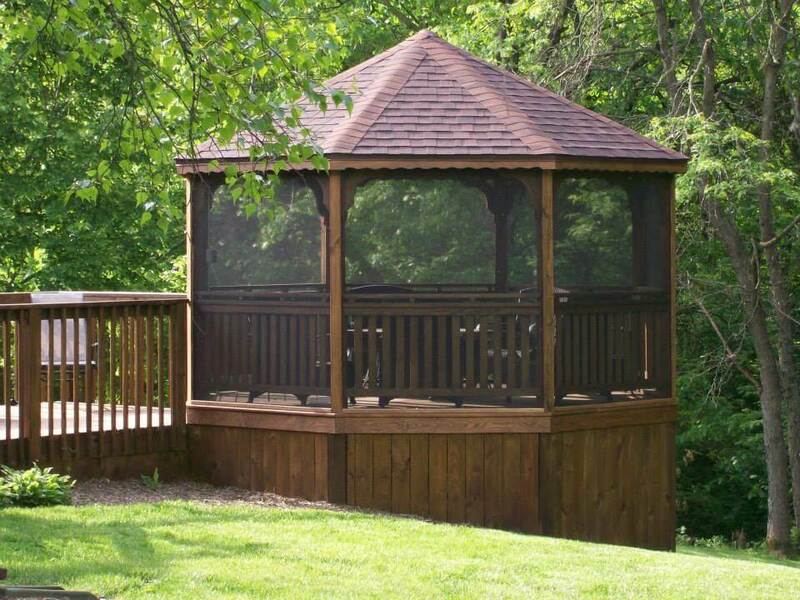 Compassion builders set to work designing this Gazebo to be added into their existing deck. Upon approval demolition of the existing hot tub and its surrounding platform began. We constructed a new lower deck matching the upper deck. 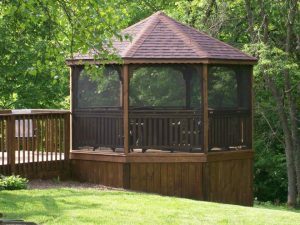 A small step up into the gazebo and your greeted by the cooler temperatures from the shaded structure. We screened the enclosure in including underneath the decking to keep out the insects. A ceiling fan with a light was added as well as a receptacle. Everything was cleaned and stained to brig a uniform shade to the entire project. Let compassion Builders be your contractor of choice for all your Custom Home Building, Basement Finishing and Remodeling Projects.